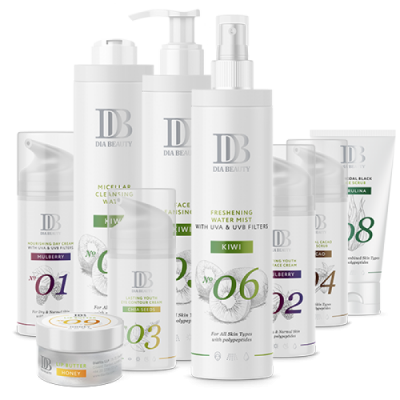 Dia Beauty set "Tutto in Uno"
Tutti i prodotti della linea Dia Beauty a un prezzo speciale. 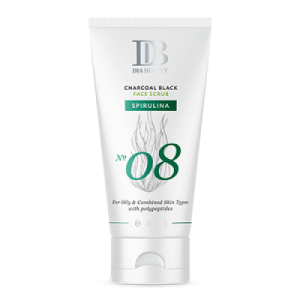 Black Face Scrub with Charcoal is designed for skin cleansing and anti-wrinkle care, which can be used both as a mask or facial scrub. Charcoal cleans and exfoliates removing dead cells. It helps to balance oily skin, purifying pores and making them smaller. Acetyl Hexapeptide-8 (also known as Argireline) helps to keep the skin young by reducing the appearance of wrinkles. Spirulina is known by its nourishing and antioxidant functions. DiaVita Beauty introduces to you the perfect cream solution for the while day with an aging slowing effect! 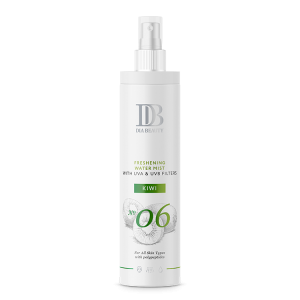 Based on 8 active ingredients, it enhances and restores the skin’s moisture while, at the same time, regenerating and protecting it from free radicals. It helps reduce wrinkles and dramatically improves the skin’s appearance. Furthermore, Mulberry fights pigmentation, providing a glowing effect. 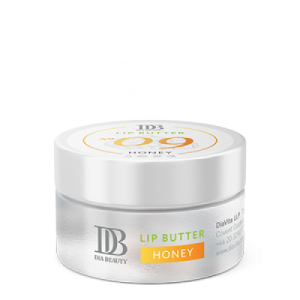 The cream features a unique combination of Olive Oil, Argan Oil, and Shea butter, providing for instant moisture and nourishment, meanwhile the Mulberry nourishes the skin and gives it healthy glow. 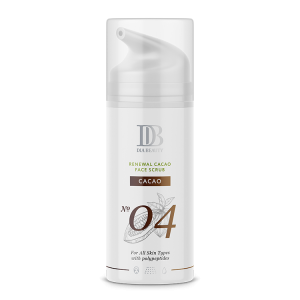 Omega-3 Fatty acids and Vitamin A enhance antioxidant and anti-aging properties, rendering your skin velvety smooth, repairing your skin, protecting it, and maintaining its natural moisture. Show your skin who’s boss! 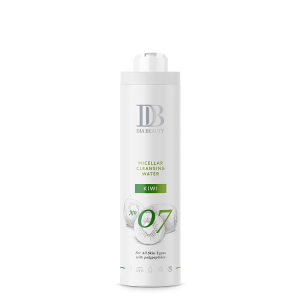 Face Cleansing Gel with Kiwi is a foam gel for deep cleansing and skin toning with Hyaluronic Acid and a Vitamins A, F, and E complex. 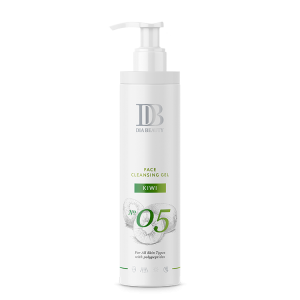 It effectively fights oiliness and removes grease, impurities, and make up, leaving your skin glowing. Meanwhile, the Kiwi extract provides freshness, fights skin pigmentation, and gives the skin a glowing and healthy look. It’s ideal for all skin types, including problem and acne-prone skin. Clear up your blemishes and help maintain a clear complexion with the Face Cleansing Gel with Kiwi!